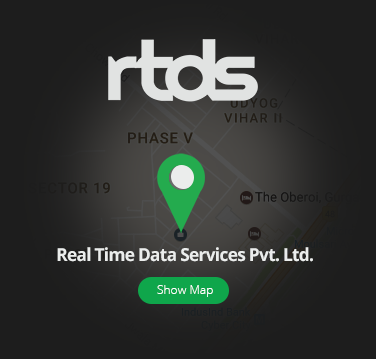 Real Time Data Services Private Limited (RTDS) is a global information technology, consulting and outsourcing company serving clients in multiple locations across the globe. We partner with clients to simplify, to strengthen and to transform their businesses using cloud technology. Headquartered in Gurugram, RTDS empowers businesses to move to cloud and delivers solutions to them. We command a substantial reputation, especially in cloud hosting of accounting software, business applications, and contact center solutions. RTDS has its data centers located in Chicago, Dallas, Seattle, and Phoenix to serve businesses over the globe. RTDS is well positioned to be a partner and co-innovator to businesses in their transformation journey, in identifying new growth opportunities and in facilitating their foray into new markets. RTDS relies on industry experts such as Microsoft, Intuit, VMware, Bill & Pay, Method CRM, Salesforce and more for its technology support. Answering/Troubleshooting on technical queries and dealing clients via calls, chats and Emails. Install, upgrade and troubleshooting of Accounting/Tax software such as QuickBooks, ACT! ATX etc. Managing user accounts on Servers/Domain. Need to reply support tickets or route to the respective team. Troubleshooting as per preliminary guidelines to resolve the issue and escalate to Admin team. Deployment of service releases, patches, requests and customization. Basic knowledge of windows server, cloud technology and virtualization. Hands on experience with VMware vSphere v5.x/v6.x, Networking & Storage. Strong knowledge on various VMWare products like VMWare ESXi, VCenter, VSAN, VCloud Director etc. Strong experience on managing virtualization features and products such as: VSphere ESXi, VMware vCenter Server, VMFS, vSphere vMotion, vSphere Storage vMotion, vSphere High Availability (HA), vSphere DRS, vSphere Storage DRS, vSphere Fault Tolerance, vSphere Distributed Swich, Host Profiles, Site Recovery Manager, Affinity rules, host reservations. Experience in monitoring the health, backups of cloud infra, capacity planning and business continuity concepts. Must be highly proficient and experienced in troubleshooting issues related to virtualization, Operating Systems, Storage and Network. Must have good written and oral communication skills to interact with other teams in a fast-paced environment. Should be open for rotational Shifts. Handling day-to-day technical queries & providing technical support to various inhouse users. Planning, Administration and Maintenance of network setup of complete site having Servers, PCs and Printers. Installation, Configuration & Administration of Windows Server 2003/2008 R2/2012 R2/2016, Windows 7, Windows 8 & Windows 10. Installation & Configuration of Various Network Cards, Modems/Routers and Printers. Maintaining various ISPs network through Router/Firewall to provide Internet to all inhouse users. Maintaining and managing users in Windows Server 2003/2008, Active Directory. Installing software and hardware component & troubleshooting desktops, laptops, printers. Performing and managing Backups of Data. Proficient in Asset Management, call management and vendor management. Maintaining DHCP and DNS server, physical firewall. Managing Bio metric access machines. Excellent knowledge of windows troubleshooting.